For more information about the artists and speakers involved in Truthfest, see this Press Release. 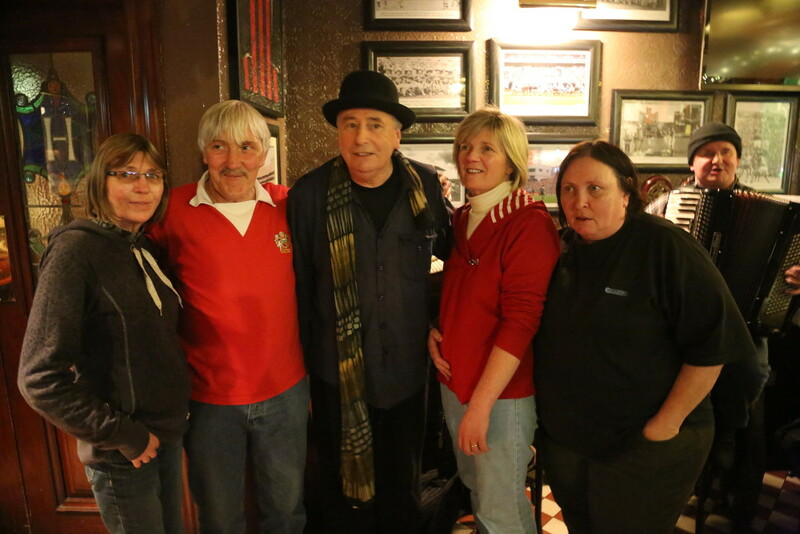 Above: Irish musician Joe Black (centre) with members of Chelsea’s family during solidarity events in Dublin, November 2013. If you can’t tell the truth, then don’t bother speaking! Chelsea told the truth and has paid with her liberty. 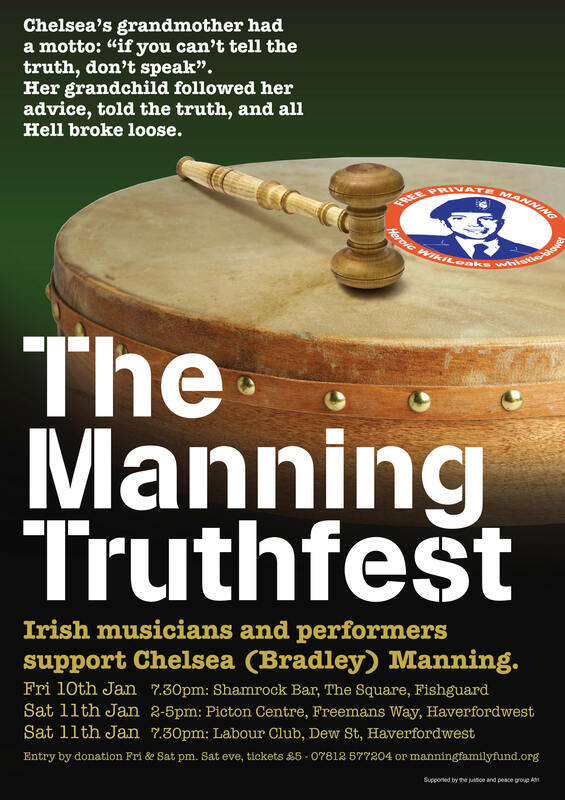 brought by Irish musicians, performers and other supporters to Manning’s family in west Wales. Supported by Irish justice and peace group Afri. With Irish musicians Joe Black, Robbie Sinnott, Brian Fleming, Ellen Cranitch, Imogen Gunner, RoJ Whelan & singer Sorcha Fox. Donal O’Kelly will perform his award-winning solo show Fionnuala. 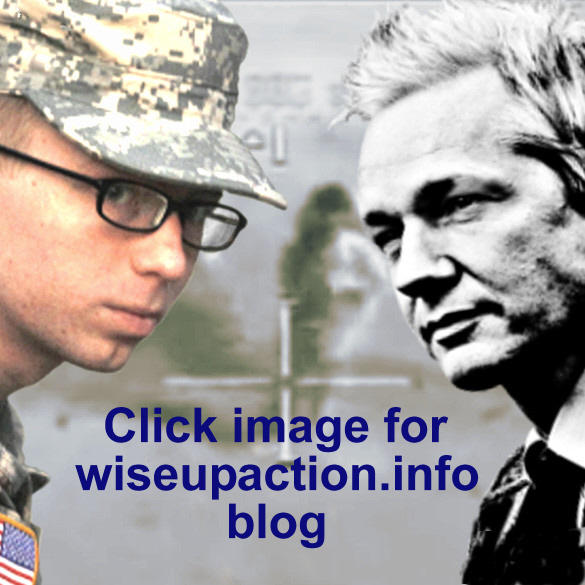 Ciaron O’Reilly, former prisoner of the US (Manning WISE Up solidarity network). Chaired by Andy Storey of Afri. Live music with Brian Fleming, Joe Black, Robbie Sinnott, RoJ Whelan, Ellen Cranitch, Imogen Gunner. Sorcha Fox will perform her poetry piece with film Who Am Ireland? Brian Fleming will perform his show Have Yis No Homes To Go To? The evening will end with an Irish music session. Limited tickets – Booking essential. Contact: wiseupforbm@yahoo.com or call 07938 619825 or 07812 577204. 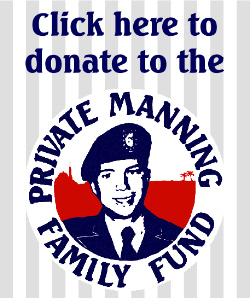 Gallery | This entry was posted in Announcements and tagged Afri, benefit gig, Bradley Manning, Chelsea Manning, Ciaron O'Reilly, Donal O'Kelly, Dublin, family, Family Fund, Fishguard, Gareth Peirce, Haverfordwest, Pembrokeshire, performance, solidarity, Wales. Bookmark the permalink. Thank you Chelsea for waking us up to the crimes committed in our name and God bless, I hope 2014 brings justice for all people of conscience.